Did you know that there is a permanent and painless way to get rid of underarm hair for good? 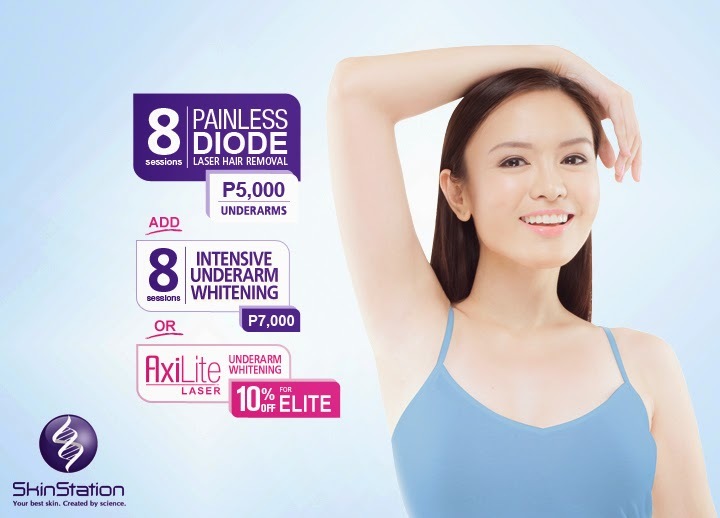 Yes, at Skin Station, you can avail of the painless Diode laser hair removal procedure. The painless diode laser hair removal uses laser technology to remove hair follicles on various targeted body parts in order to prevent hair regrowth. Some of those areas include the underarms, legs, and even the bikini line or pubic area. The method uses a specific machine which targets each follicle as the skin care assistant guides it all over the area. The duration is not measured by time but by counts. The assistant decides how many counts to program onto the machine depending on the volume of hair present after shaving. The least is 1,250 counts for thin hair with up to 1,500 counts for thick hair growth. I am not very tolerant of pain and my pain resistance level is very low, hence, I kept on asking for a reapplication of the gel during the first session. But during the succeeding ones, I became more tolerant of the heat and minimal ant bite-like pain. As for the results, it is already evident right after the first session. In fact, there was literally almost no hair regrowth afterwards. There were very few hair which grew back after the first session alone. However, the results would vary per individual. Prior to undergoing the procedure, there are contra-indications stated in the package. You should consult your doctor first and see if it’s ok for you to go through it. There are also guidelines before and after a session. You should not shave for a week before undergoing the treatment. There is a waiting period of 6 weeks in between sessions as well. You will also need to apply an anti-inflammatory cream for at least 3 days to a week after a session to avoid skin irritation. For the underarms, you can use a whitening cream too in order to minimize chicken skin and whiten the area. These creams are prescribed by the shop and can be purchased there. Skin Station offers the procedure for Php 1,500 per session but you can save on costs by availing of the Php 5,000 package for 8 sessions. Ask a local branch for promos, if any. 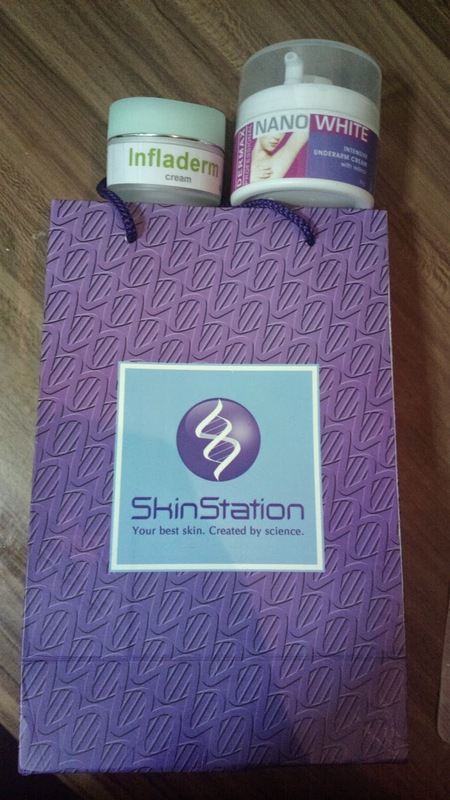 For more information including other services, prices, and branches, contact Skin Station at their website www.skinstation.ph or their Facebook page www.facebook.com/skinstationph.